The 3D photos feature will be available for users on iPhones with dual rear cameras, for now. Facebook is now rolling out the 3D photos feature, which was originally unveiled during the company’s F8 Conference. The feature was not extensively demoed or detailed at the event but it is now being rolled out for all iPhone 7 Plus and above users. The feature said to capture the distance between the subject in the foreground and the background to introduce depth and movement in an image. The new feature will be available in both News Feed and VR. In addition, Techcrunch reports that the company is also adding a new feature to Groups that brings chat support for up to 250 users. As per the report, the company is now rolling out the feature. The 3D photos option is rolling out today and will be made available for everyone in the coming weeks. However, it works only for images shot using Portrait mode on dual-camera iPhones like the iPhone 7 Plus, 8 Plus, X or the iPhone XS. “Whether it’s a shot of your pet, your friends, or a beautiful spot from your latest vacation, you just take a photo in Portrait mode using your compatible dual-lens smartphone, then share as a 3D photo on Facebook where you can scroll, pan and tilt to see the photo in realistic 3D—like you’re looking through a window. You can also view 3D photos in VR using the Oculus Browser on Oculus Go or Firefox on Oculus Rift,” Facebook says in a blog post. 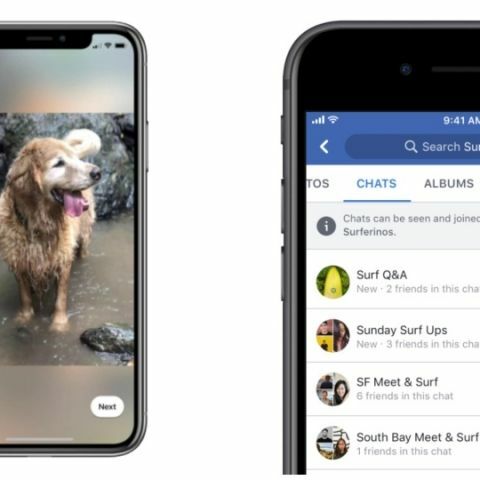 Coming to the chats feature that will be available within Groups, the feature is said to support both audio and video calls with up to 50 users at once. The in-group chat option is accessible by all members in a group and any user can join in or be invited to it. 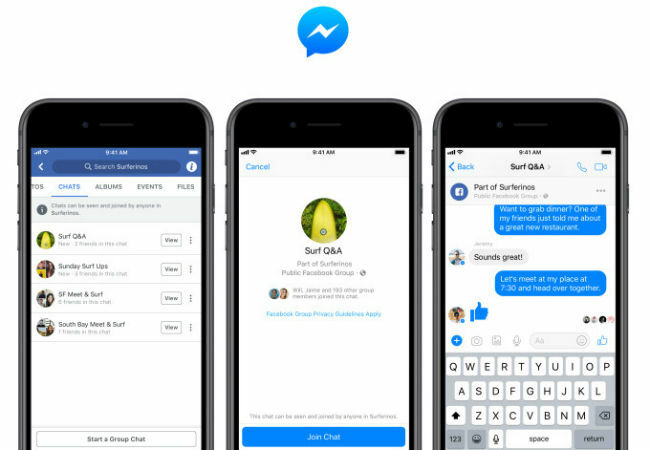 Most importantly, Facebook is said to not spam users with a notification for every message being sent in a group chat until they accept the invitation to join the group. Even after being a member of chat, they will be able to filter notifications for messages so that they get a notification only for @ mentions. Group admins will have granular control over chats as only they will be able to start threads to help limit spam.